“I love poetry. I think it’s a great way to convey emotion,” said sophomore Sophie Schweik. “Memorizing poems from eras you didn’t live through helps you understand what things were like in those times.” Schweik is among the tens of thousands of high schoolers across the country who participated in Poetry Out Loud’s annual recitation contest this year. Poetry Out Loud, as stated on its web site, aims to encourage students to learn about literary history and build self-confidence and public speaking skills through the memorization and recitation of poetry. Students select poems to recite for a panel of judges first at a school-wide level, the winner of which competes in a regional competition where the top five are selected to advance to the state final. One winner is selected from each state final to compete at the national championship in Washington, D.C., on April 25-26, 2017. The poems must be chosen from Poetry Out Loud’s anthology, which is updated annually. Junior Sophia Fang said that the anthology has a “huge variety.” Fang won ARHS’s schoolwide competition in her freshman year and advanced on to the regional finals. As the winner of the ARHS competition, Schweik advanced to the regional competition, which took place on March 5, 2017 at the Community Music School of Springfield. This year, four ARHS students, including Schweik, competed for the spot at regionals. According to Schweik, this is a small number compared to other schools. At the regional competition, “There was one guy who competed against 50 other people at his school,” Schweik said. ARHS English teachers Sara Barber-Just, Kate Kuhn, and Ms. Reich were the judges of the schoolwide competition. “Next year we hope to publicize it earlier, and encourage many more students to join in the first stage of presenting their poems,” said Ms. Reich. Both Fang and Schweik agreed that at regionals, the nature of the event did not feel competitive at all. According to Poetry Out Loud’s website, recitations are judged on physical presence, voice and articulation, dramatic appropriateness, evidence of understanding, overall performance, and accuracy. 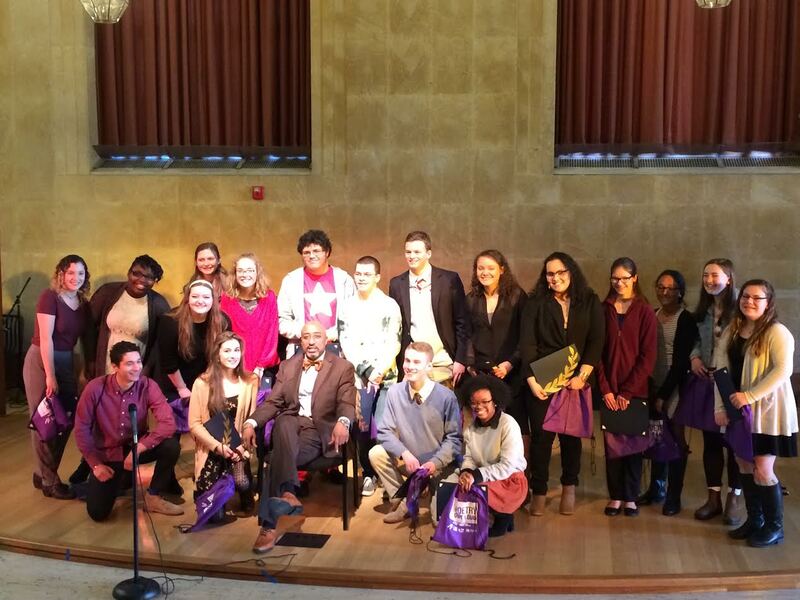 Poetry Out Loud’s website also has numerous statements of high praise from educators and from students who have participated in the recitation contest.